No matter how pretty your smartphone or how beautifully aligned its features are, there are many of us who get cases to protect the phone’s exterior. Beauty is becoming a thing of the world and Apple is known for making ‘stylish’ and beautiful products. After the tech giant managed to grab a good market share of people who were conscious about the beauty of the phone, almost every smartphone company of the world has made great efforts in trying to improve the phone’s outlook. Now when the phones are becoming good looking we must ‘hide’ their beauty by covering them with ugly cases. 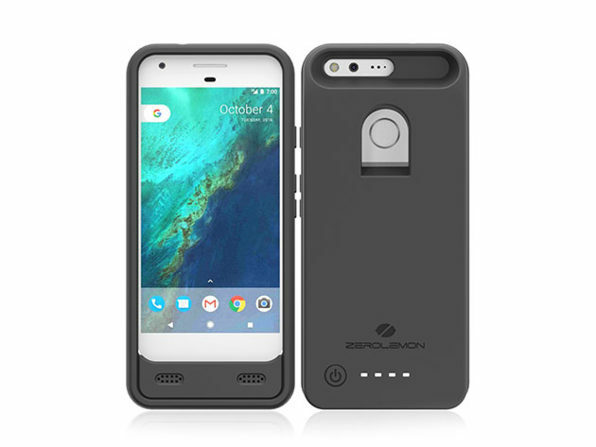 If you have a Google Pixel then it needs a case as well. Now what if I tell you that the same case can act as a charger as well? Great catch, right? Wccftech deals brings for its users an amazing deal on ZeroLemon Battery Cases for Google Pixel and Pixel XL. The cases are only for Google Pixel so don’t try putting them on some other phone.